What’s on my wishlist this week? I spoke about the supplements I’ve been adding into my Hammer and Chisel nutrition plan in what I ate on Saturday. I have gone down in calories, up in workout intensity, and I’m not sore or hungry really, which I think is a lot to do with the Performance Line! So how great would this be for organizing it all on the go, or just to have ready for the day? Room for one of everything I use from the line! This is the BlenderBottle GoStak Twist n’ Lock Storage Jars, which also fits inside a Blender Bottle! What do you think? Would this be a helpful thing for you to have? I’ve been a bit podcast crazy lately. It has made me realize how many pockets of time I have where I can listen. So if you’re thinking you don’t have the time to listen in…think again! It’s all about finding places you can fit things! So my favorite podcasts lately have been Happier and Chalene Johnson’s Build Your Tribe…what are some of yours and when do you listen?? So our coach summit isn’t just about fitness! It’s about motivating ourselves and others to lead more fulfilling lives, including how to lead others. This year’s non-Beachbody speakers didn’t disappoint. It’s amazing…you look at the speakers lined up and wonder how what they say is going to speak to you. I don’t know that I was far off, but I was still surprised with how inspired I was! I’m not going to go too into the specifics of what they said, just introduce you too them here. I find that the most motivational moments come from your own interpretation, and I don’t want to cloud that! First up was Simon Sinek, author of Start With Why: How Great Leaders Inspire Everyone to Take Action. He spoke about leaders and how we are biologically set to respond to them. I had heard of his books, and had some in my Amazon shopping list (now purchased!). You can find more of him on TED Talks. The second keynote speaker was photographer Dewitt Jones. His images and the way he describes his process of always looking for a best shot were both beautiful. Here is a preview of one of his talks. Last year, one of the speakers was swimmer Diana Nyad, who has a special on Showtime right now…I recommend checking that out as well! Sometimes, the little changes you make can help a lot! Tell me your little things. What makes your life run more smoothly? 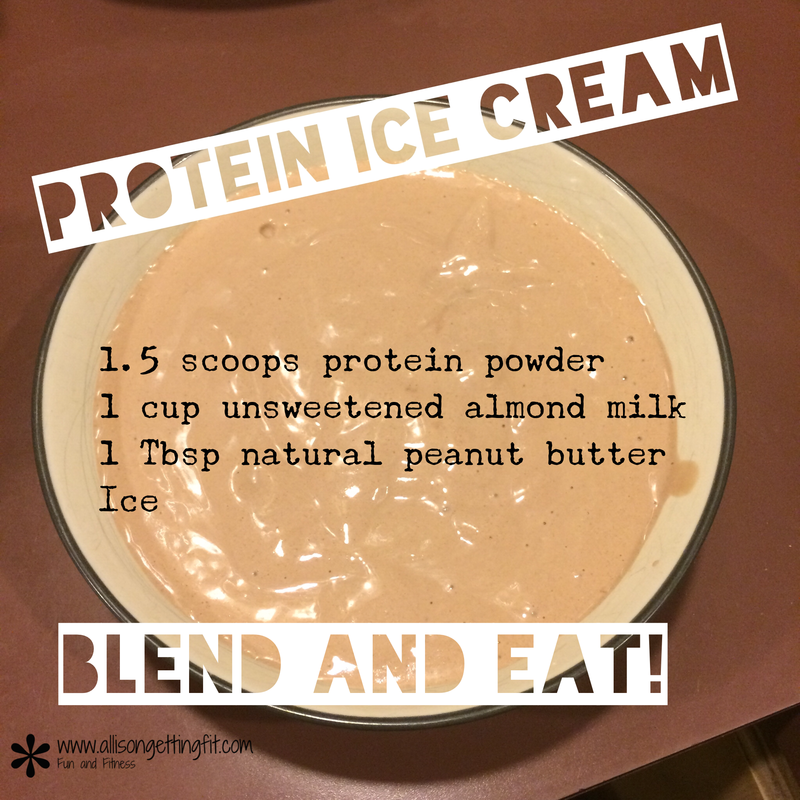 I use two different protein powders – use what you have and what you like, though different combinations may need changes to the milk/ice/protein powder ratio for consistency. Easy, tasty and dessert like! Three of my favorite things! Good morning! You probably know that I start my day at 4am (usually…I slept in on Tuesday!). I get a question about getting up early kind of often, so I figured I’d answer it here. Yes to both. So here’s the why. I used to wake up at 4 or 5, depending on several things that went into when I could workout. Now, I actually don’t have as much leeway and usually have to get up at 4 to workout and shower before my daughter wakes up. And it’s easier! Getting up at the same time each day, though earlier, has been easier for me than getting that extra hour in bed. For one thing, I don’t worry that my alarm is set to the right time. For another, I’ve let my body get used to being up at that time and now it is. 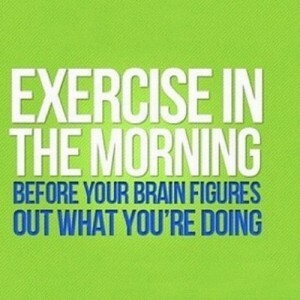 And if I’m up, I may as well workout, right? Well, that’s part of why I work out almost every day. I take a rest day if I feel I need it, but instead work active rest into my program. Yes, Body Beast has a rest day each week. Most programs I’ve done do (except 21 Day Fix and 21 Day Fix Extreme, which I’ll get into). So I work in something fun like Turbo Fire or something like yoga. Part of the reason is that I am better when I workout…I have more energy, am better at facing my day, make better nutrition choices and drink more water when I exercise. Another piece is that I enjoy having the habit of exercise. It is something I just do daily. This is why the 21 Day Fixes have workouts every day – it’s creating a habit of exercise and food choices so that making these a part of your life is easier. So I add these workouts, while listening to my body and fully resting if I need to, because it works better for me. This is not to say that it’s the way to go for everyone! Some people prefer to workout in the evenings. I can do a light workout in the evening, but often forget that I shouldn’t eat my regular dinner if I’m going to! Yes, food is one of my biggest deterrents to night exercise. I like the morning because I don’t have to worry about that. And some people prefer to workout 5-6 days a week. If that works for you, go for it! The best workout is the one you’ll do. The best time is when it works for you. Find what that is. Why do you workout when you do? Are you in a pinch for some quick turnaround gifts for a fit friend or family member? Here are gifts that I have or would love that can get to you in about two days…and then some gifts for in time for New Year resolutioning! lululemon Vinyasa Scarf – super versatile, cozy, and lululemon is upgrading shipping for free! I love this for traveling or days where I’m not sure what temperature I’ll be dealing with (can you say conference rooms?). Mini-Cycle – I’ve always wanted something like this…sitting at my desk, cycling? Sounds awesome! A good book? There are plenty of quick options with e-readers, and Amazon prime, but The Compound Effect gets my vote for being motivational as well as a gift for any of your fit friends! You Got This tank – I have this and a few other tanks from this store and love it. You do have this! Go for it! 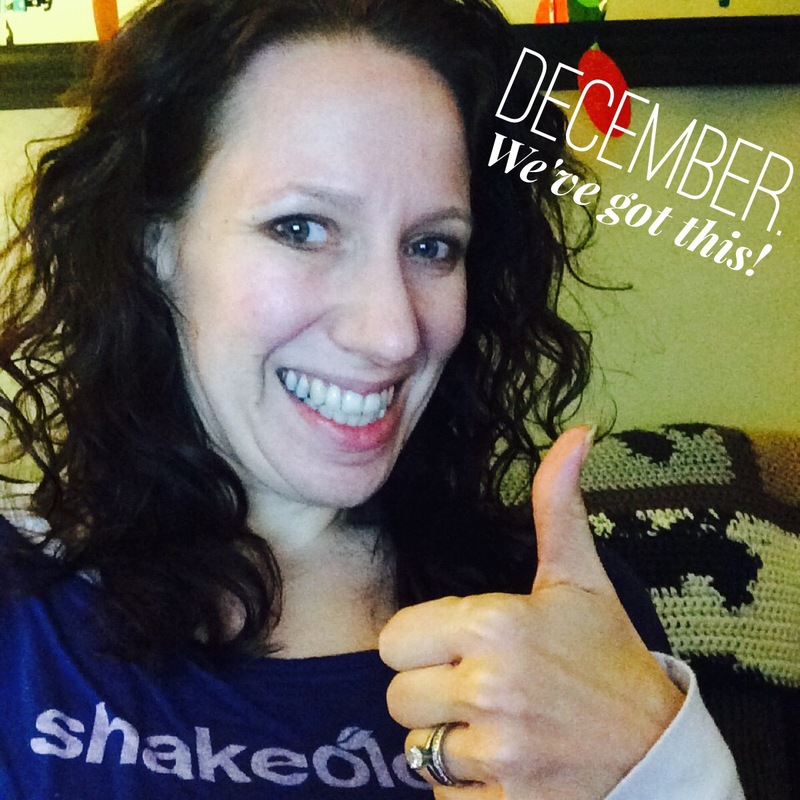 Shakeology (of course) – What better way to get back on track after any holiday slips! Pair it up with a workout for great a great start to 2015. Polar Loop – This fitness tracker is worn all day, but also has the chest strap for better tracking of your workouts. Looks amazing! I had a whole mind dump planned on having it all…that elusive thing people strive for. There have been a TON of articles on this, so I’m not going to go into any of that. But a quote I heard the other day sparked how I basically felt…Having it all means I have to do it all. Yup. Now, I don’t want this to sound like I don’t have my version of it all. I’m pretty happy with the balance I have in my life. But my life and my happy balance may not be someone else’s. So it seems kind of silly to go into a mind dump about it! I couldn’t go through all the possible trade offs if I tried. My point is, there is no way for most people to have it all without giving something up. 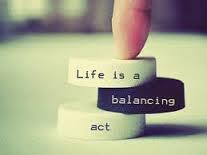 Having it all should be instead looked at as finding the balance that works for you. What works for me, may sound terrible to you! That’s fine. Have you found a balance? I don’t think I am! Everyone is talking about being done with their holiday shopping and I have ONE gift purchased. Just the one. I’ll get there! But, December means a new month, and different challenges. Lots of food-heavy events, lots of clothes to wear and lots of wanting to look good, right? So here’s the rundown of what I have going on fitness wise in December! * Still time to get in on the Black Friday deals! That and the November PiYo and PiYo Kickstart deals are closing soon. This PiYo Kickstart pack is just such a smart deal. It comes with the 3-Day Refresh that I loved to kickstart your results. * 7 -day Clean Eating group starting Monday, 12/1. Trying to lose that Turkey Day weight! 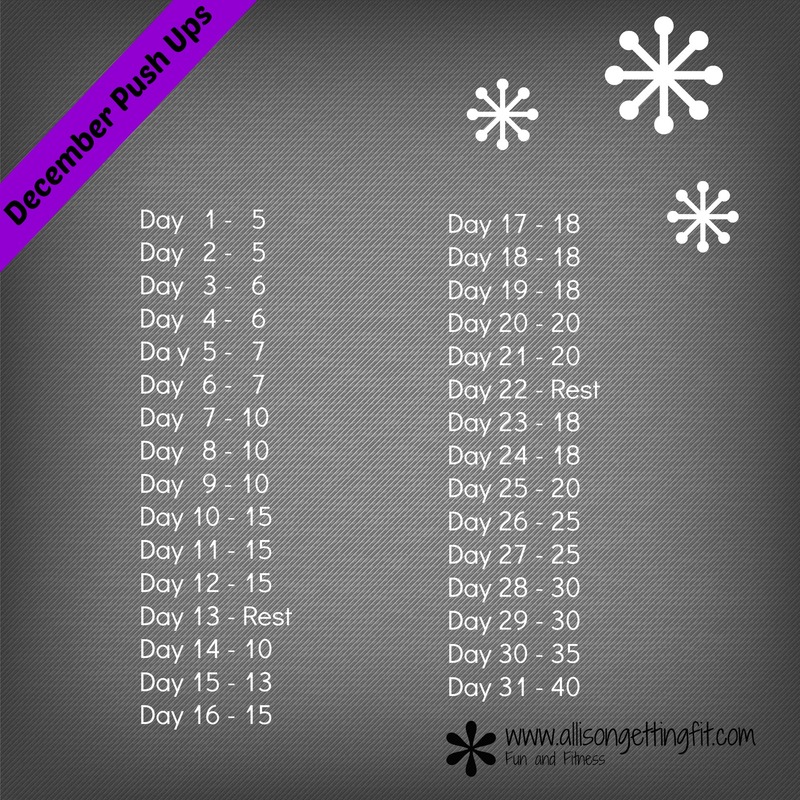 * December Push Up Group! * Insanity Max :30 Releases 12/2! This is a new 30-minute, in-home workout program from Shaun T (of INSANITY and Focus T25). You need to be ready to MAX OUT. It’s not about “getting through” all 30 minutes, it’s about going as hard as possible, for as long as possible, until becoming “MAXED OUT” (i.e. until taking the first rest and/or breaking proper form). No equipment needed… just push to the MAX for INSANE results in just 60 days. Go here to sign up for release info. I’ll have a group starting 12/15 for just those doing this program and we’ll all get through it, and the holidays, together. * A coach preview group starting 12/8. Find out what it’s all about with no commitment! So, lots of fun in December! If you want to be in on any of these groups, email me or comment. I’m really looking forward to keeping myself and everyone else on track during this crazed time! 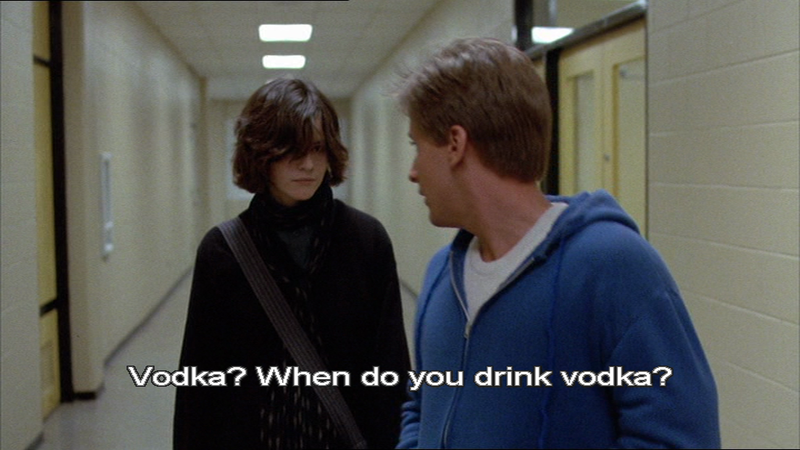 How do you feel about routine? Do you crave it? Do you have it? I like to know what to expect for the most part. Especially when it comes to my food and fitness…fail to plan, plan to fail and all that. So while I try to allow for some spontaneity (what, that’s not how that works? ), I do like to have routine most days. We’ve fallen into our routine here. I know that, for the most part, I can get in my workout between when my husband leaves for work and to drop the baby at daycare and when I start work. I know that, at this time, I have little that can get in the way of my workout. Can you guess what’s next?? Routine is about to change, people! My husband has a new job (starting Monday! ), with new hours and a few extra challenges. I will be doing day care drop off some days. Pick ups some too! Note that “some days” in there…each week day will no longer be similar. Some days, I’ll get up and workout and hope no one wakes up. Some, I’ll probably be back to the old schedule (we’ll see if I decide to try to keep similar day to day). I am not worried though. Just wanted to post a little about the difference between a strict routine and having strategies for adjusting. Do you have a back up plan in mind when life throws a curve? For me, instead of having a freak out when something is changed, I can just mentally swap some things around and make it work. Because I have several slots where I can workout (though I also have preferences…I can exercise at night. I prefer not to, but it’s there). I have food I can switch around in my menu. A little bump doesn’t mean a derailment. So think about your day. When can you exercise? What could you eat if you needed to go shopping, but couldn’t go today? Do you have a go-to meal that you can get at a local place? So, I went away for less than 48 hours and it took me forever to get back to normal! I went through the motions of my normal days, working out, working, prepping foods, all the other good stuff. But a lot of little daily things I do fell off my plate. Why was it that hard to get back on track? I think it was the weekday trip and that I got in so late on Wednesday. I got in about 2am, got up at about 5:30am to start Thursday (I’m sure my husband would have let me sleep in, but I missed my baby!). Both Thursday and Friday were also not typical weekdays with some other mid-week plans thrown in. At night, I was still overwhelmed with the list I had to get done and the need for some much needed sleep. So I rebooted this weekend, but I’m doing it again this week! For a little more fun, a few more days, and a bit further of a trip. I’m off to Las Vegas on Thursday for the big Beachbody Summit. It’s my first time going, so I’m trying to prepare as best I can but not letting that stress me out. I am not packed yet, but I still have time. I don’t have that much clothing to decide between! This trip should be super motivating, but I’m finding a funny little thing…I’m also motivated now with it coming up! That’s a lovely bonus. I can’t wait to spend a few days with so many inspiring people. It’s also going to be the release of the home version of Piyo, one of the formats I’m certified in. It’s a low impact, mind/body inspired strength workout that is nothing like what you expect from that! Expect great music, unexpected results, and to smile through it. I’ve been adding more Piyo into my schedule to get ready for the launch. I’m excited for more people to get to experience this workout. I also took off a few days after I get back, so I’ll be able to recover to normalcy quicker. And more importantly, hang with my family. What are you looking forward to this week?